In this latest video from 80s Casual Classics, Neil Primett highlights some key styles of the season such as the legendary Lacoste Polo Shirt. Lacoste really made its sub-cultural impact with the original casuals of the late 70s and early 80s becoming a key look of the casual uniform. Thanks to the legendary French tennis player René Lacoste aka ‘The Crocodile’, the Lacoste crocodile became a symbol of sportswear quality and panache. The classic Lacoste polo shirt is just about as timeless as it gets when it comes to original casual gear from the era with young casuals of the 80s known to even stitch fake crocodiles on a unbranded polo shirt to get the desired ‘casual elitist’ look. Heading out in the latest Lacoste top was just as important as having the right trainers on your feet and over the last 40 years the French sportswear label has become a key part of the casual wardrobe. 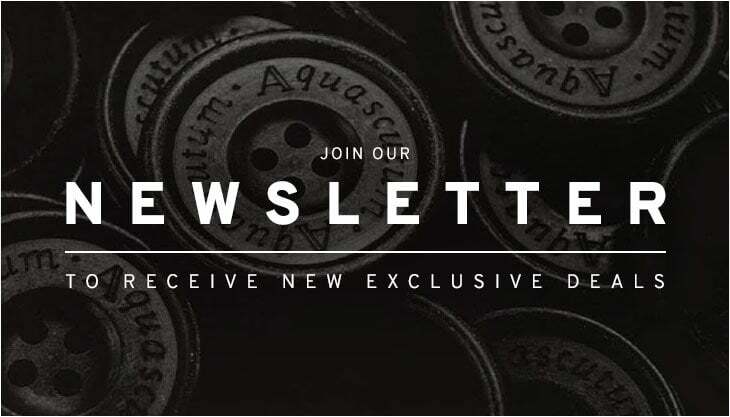 So tune in, subscribe to our channel and take note of the latest arrivals! Summer highlights from Lacoste for the latest season include the iconic Lacoste polo shirt, a great item to own in multiple colourways for the summer months. We’ve got a massive choice of colourways now available at 80s Casual Classics including everything from lemon, coral, pink, orange, sky blue, navy, black, white and Bordeaux red. Teamed up with a pair of shorts and some fresh white trainers and you’ll certainly look the business throughout the holiday season. 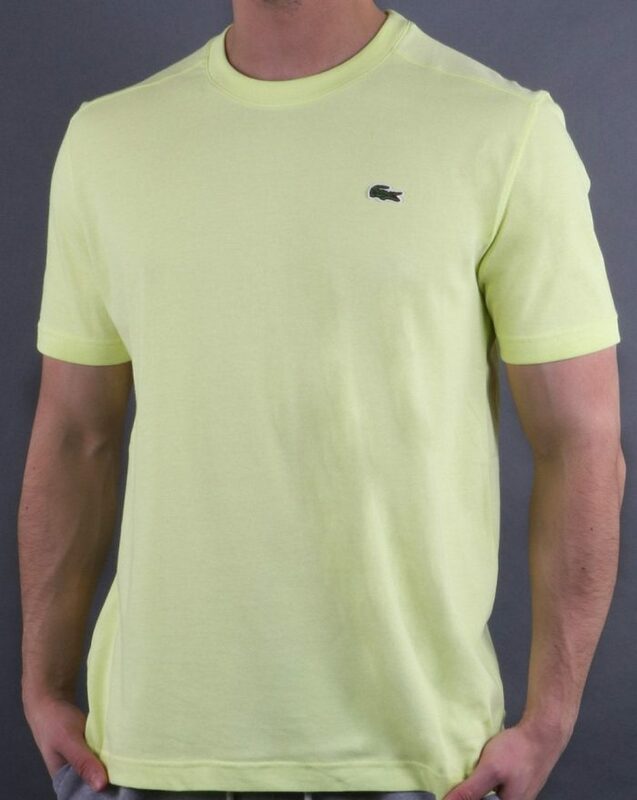 Made from a lightweight cotton, the classic polo shirt is perfect for the warmer months and is finished off with the all important green crocodile embroidered to the left chest. 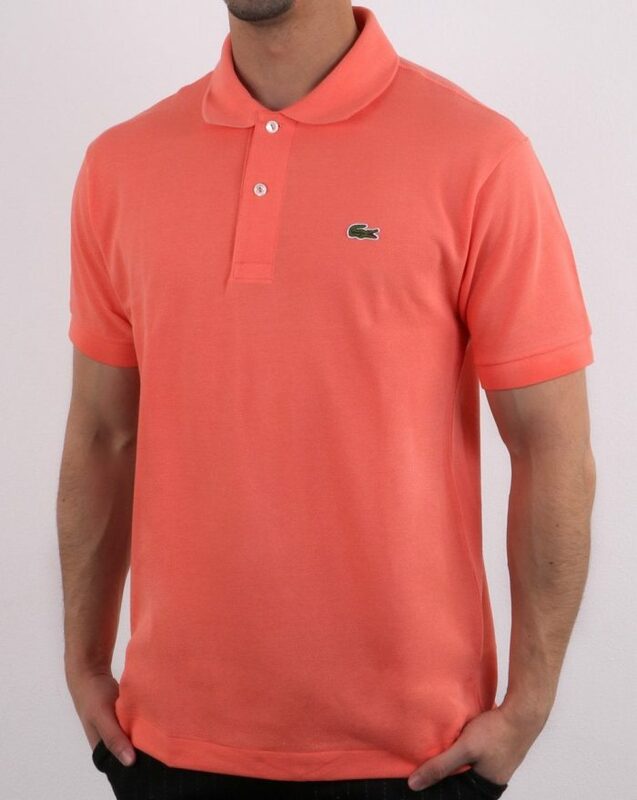 Above: The Lacoste Polo Shirt in coral now available at 80s Casual Classics. Above: The Lacoste Polo Shirt in sky blue now available at 80s Casual Classics. Other highlights from the latest season include the classic Lacoste crew neck t-shirt which is also available in an assortment of colourways from sky blue to deep red. 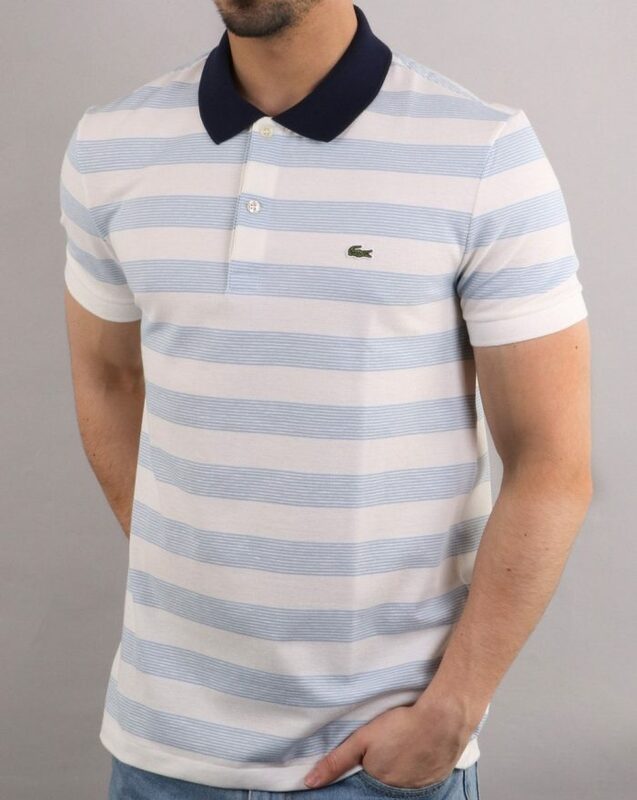 More polo shirt highlights include a new horizontal striped design with a retro Argentinian football shirt vibe as well as a classic tipped polo mod style design with contrast tipping to the collar and sleeves. 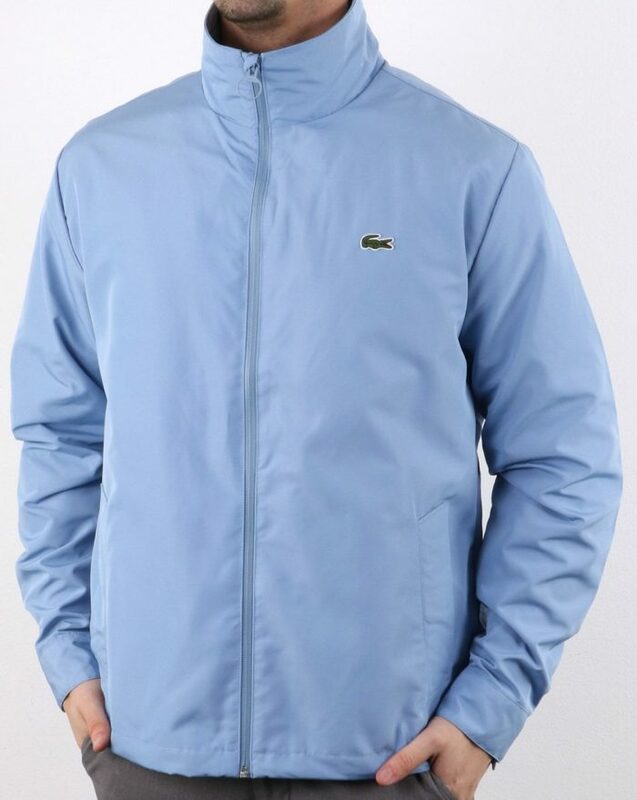 We’ve also introduced the Lacoste Lightweight Taffeta Jacket in sky blue which is already set to go down a storm with its concealed hood and classic outerwear design. Finally we’ve got more Lacoste summer holiday vibes with a selection of short sleeve check shirts and classic chino shorts for them slightly smarter occasions. Above: The Lacoste Crew Neck T-Shirt in yellow now available at 80s Casual Classics. Above: The Lacoste Striped Polo Shirt in white/blue now available at 80s Casual Classics. Above: The Lacoste Concealed Hood Jacket in sky blue now available at 80s Casual Classics. 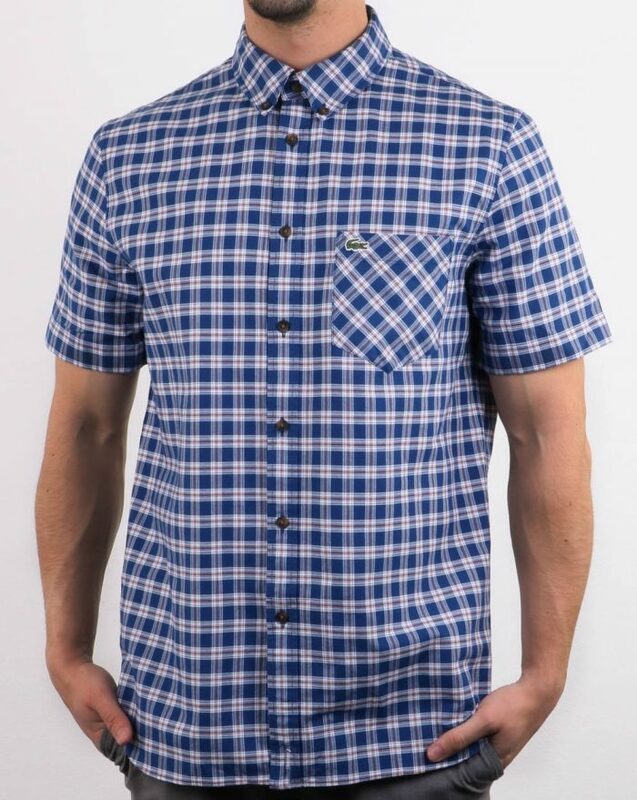 Above: The Lacoste Short Sleeve Check Shirt in navy/white now available at 80s Casual Classics.